The world of competitive Pokémon is an odd one. While there are over six hundred monsters from which to choose, it seems that there are only a few basic strategies, namely walls and sweepers. Because of this, players have tried to do different things, explore the boundaries of the game. A well executed baton pass strategy can rip through an opponent, and a weather combo can be deadly. The same is true of the TCG. That one rogue deck can win a tournament, just because it was unexpected. We at PKMNcast love that sort of stuff. You know how much we oppose just blindly following the "accepted" ways to play Pokémon. However, not all of these strategies are as successful. Just ask me about my Normal Monotype team and you will understand that all alternative strategies are not very useable. So what is it that distinguishes a legitimate strategy from a gimmick? Why, these three headings, of course! April 25, 2011 / Steve Black Jr.
Last week we discussed the tentacled rage bucket of madness known as Trick Room Octillery. Unfortunately, Octillery needs a set-up for Trick Room as he cannot learn it himself. 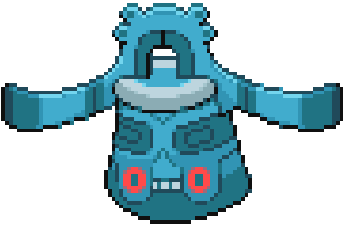 This is where the defensive monster bell from Pokéhell known as Bronzong steps in. Slow as molasses and tough as nails, he is perfect to set-up Trick Room as it's move priority forces it to go last, regardless of speed. Bronzong's Dream World ability is Heavy Metal. While it sounds like it should be accompanied by an amazing hair metal guitar solo, the ability is a mess. It doubles Bronzong's weight. Which means that moves like Low Kick and Grass Knot will do twice the damage. It also has the nice effect of increasing the power of Heavy Slam. Unfortunately, Heavy Slam is a variable attack power move depending on the opponent's weight, so it isn't really worth it. Avoid this one. April 11, 2011 / Steve Black Jr.
"Slow and steady wins the race." You've no doubt heard the phrase. The tortoise and the hare taught us that sometimes, speeding through life can be a bad thing. Stop and smell the roses. It's good advice, even when it comes to forcibly pitting two creatures against one another in bloody combat. But, Alan, I thought you told us that speed is good? Well, it is. Unless you encounter the move known as Trick Room. It is a unique move that causes Pokémon with a lower speed stat to attack first. It lasts for five turns. High priority moves like Quick Attack will still go first though, and Quick Claw will still allow the Pokémon to attack first if it activates. Trick Room always goes last when used though, so be sure the Pokémon using it can take a hit. 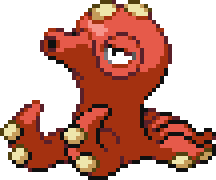 With Trick Room active, Octillery becomes a beast of a sweeper and can decimate a team with his tentacled fury.